Owners or operators of places of business (also called establishments or facilities) that are involved in the production and distribution of medical devices intended for use in the United States (U.S.) are required to register annually with the FDA. Most establishments that are required to register with FDA are also required to list the devices that are made there and the activities that are performed on those devices. If a device requires premarket approval or notification before being marketed in the U.S., then the owner/operator should also submit the FDA premarket submission number (510(k), PMA, PDP, HDE). 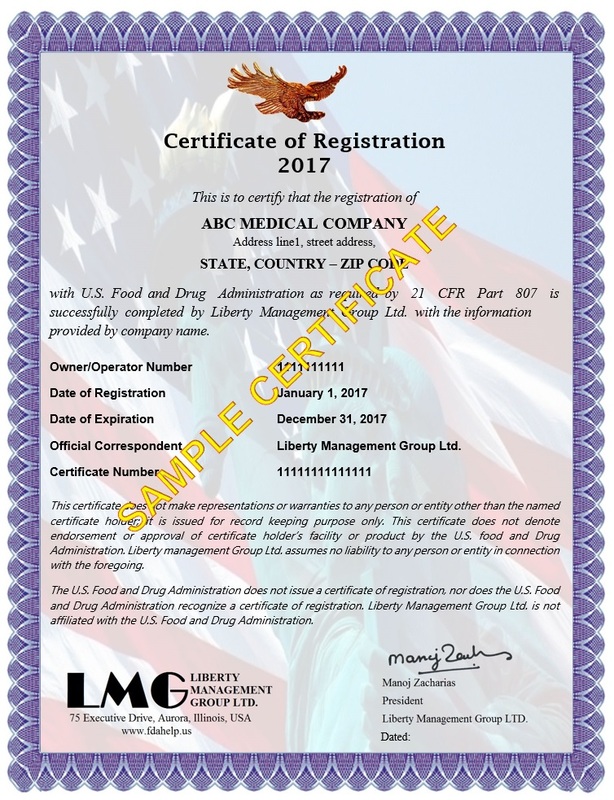 LMG will also help you with FDA 510 K submission, Medical device label compliance and US FDA Agent service requirements.